Right in the heart of Europe, Prague has a wealth of architectural treasures, one of which is the house "At the Three Ostriches". 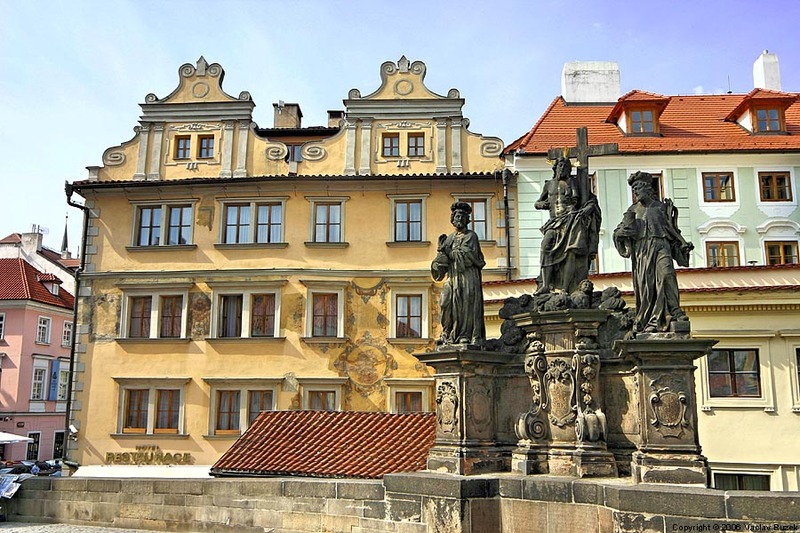 The house stands by Charles Bridge. 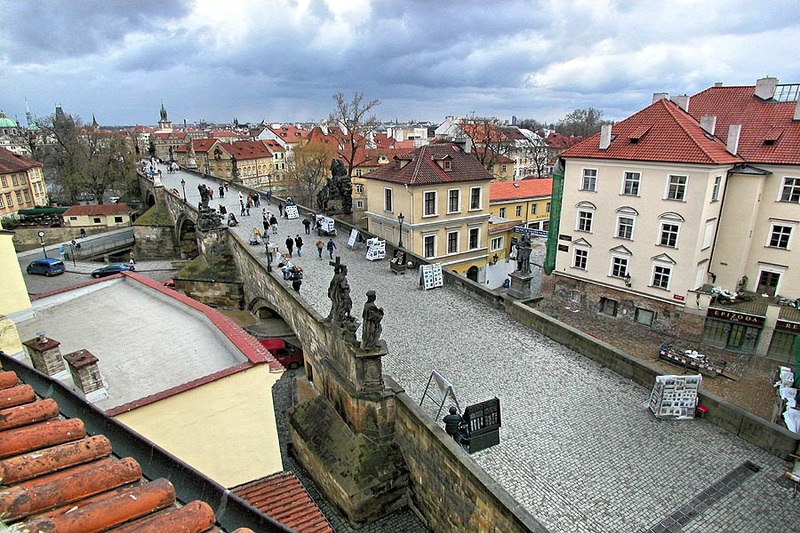 This stone bridge, one of the jewels of Gothic architecture, was built by Charles IV, the Czech King and Holy Roman Emperor. The original house stood on the pier of the earlier Judith Bridge, which was swept away by a flood. During the time of the Hussite upheaval it was burnt down, and then rebuilt by Jan Fuchs, a supplier of ostrich feathers, who had the front wall of his house decorated with a pattern of ostriches. 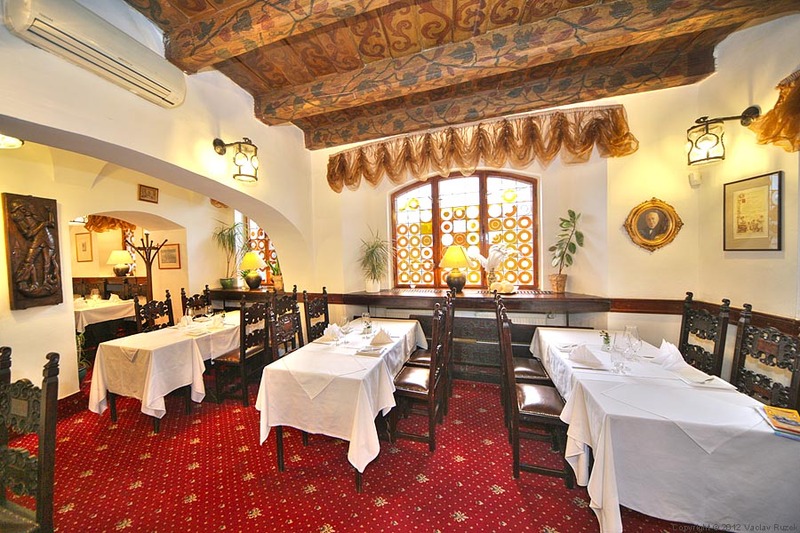 It was the first coffee house in Bohemia, selling coffee brought by the Greek merchant, Deodastus Damascenus. 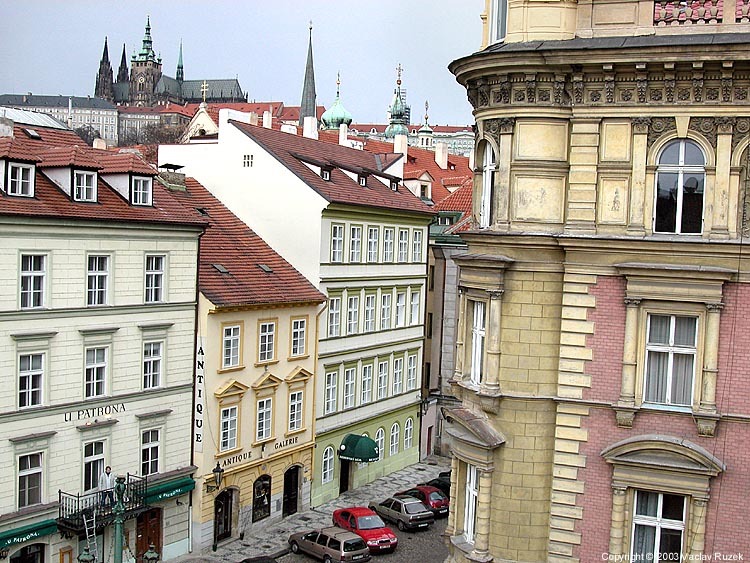 The smell of roasted coffee added to the atmosphere of the Prague area of Malá Strana, or the Lesser Town. The House At the Three Ostriches has changed ownership many times, but it has always had only one purpose - to provide hospitality for everyone who visits. The house was reconstructed in 1938 by Josef Dundr, the owner from 1921. At that time, the original frescos were revealed and the painted wooden renaissance ceiling was uncovered. 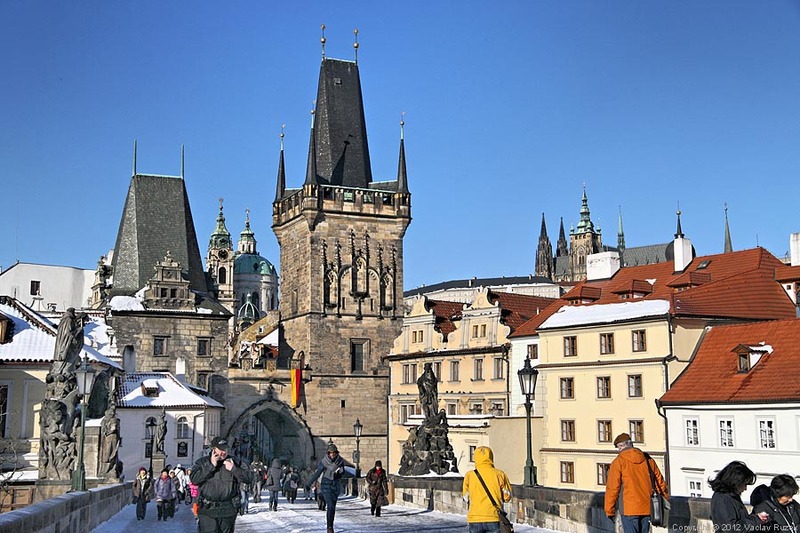 At the same time it was furnished with period furniture and a tilled fireplace and lunettes with scenes of the construction of Charles Bridge were installed. 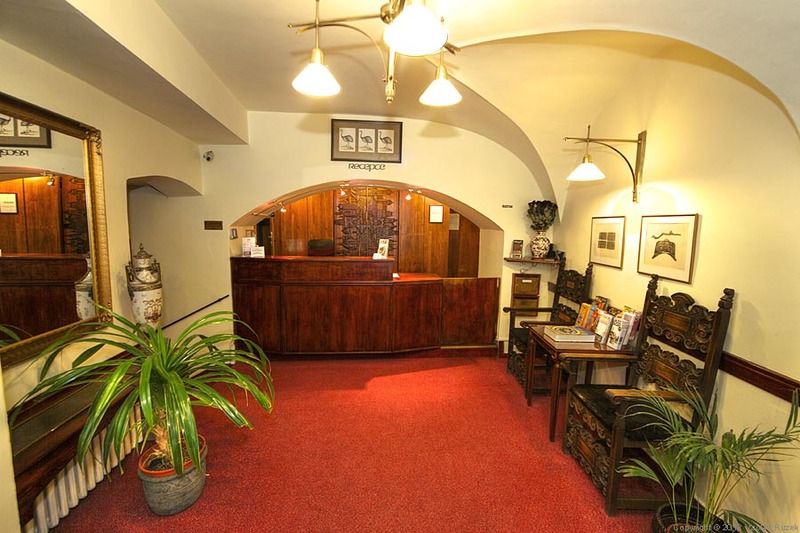 In 1949, the restaurant was put under state ownership and the owners of the house - still the Dundr family - were forced to hand over the house to the state in 1961. After thirty-one years, this architectonic jewel was restituted to the family Dundr. And nowadays again, this treasure serves to the visitors of Prague. 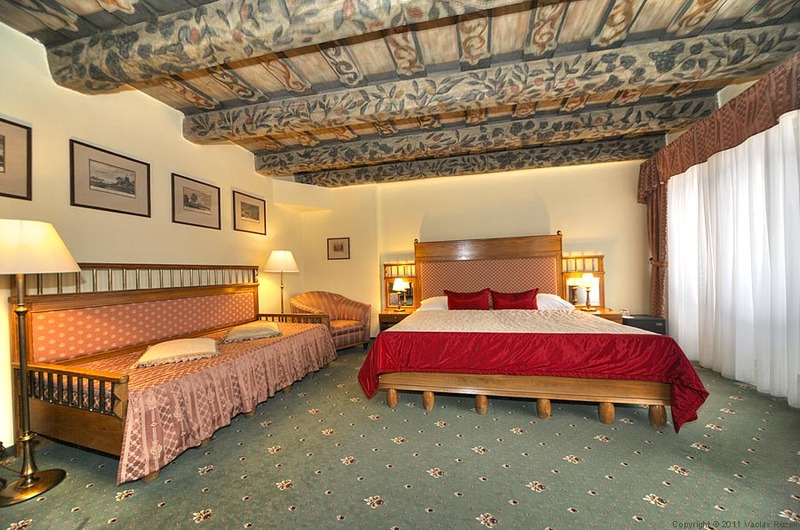 We offer a friendly welcome to visitors, who are accommodated in historic rooms with painted renaissance ceilings and comfortable period furniture. 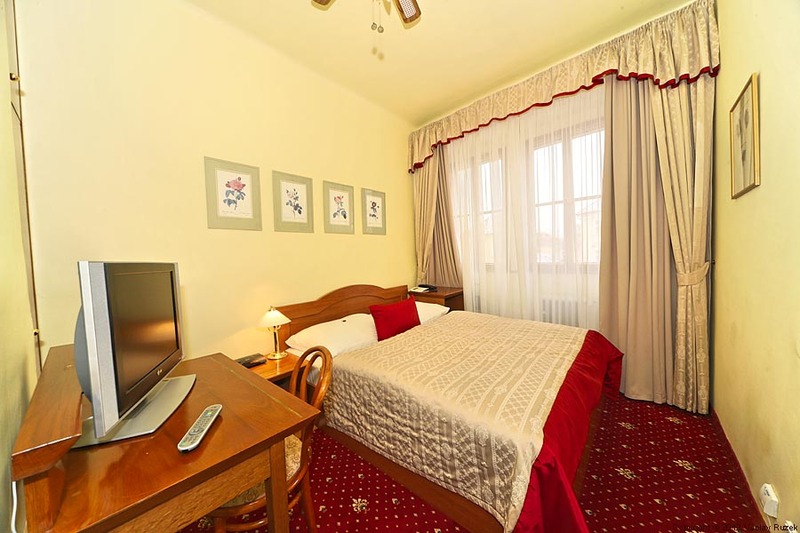 Standard equipment includes ensuite bathroom and toilet, color TV with satellite reception, radio, direct-dial telephone and a mini-bar. In the suites, there is also a safe, Internet connection, and bathrooms with whirlpool bathtub. 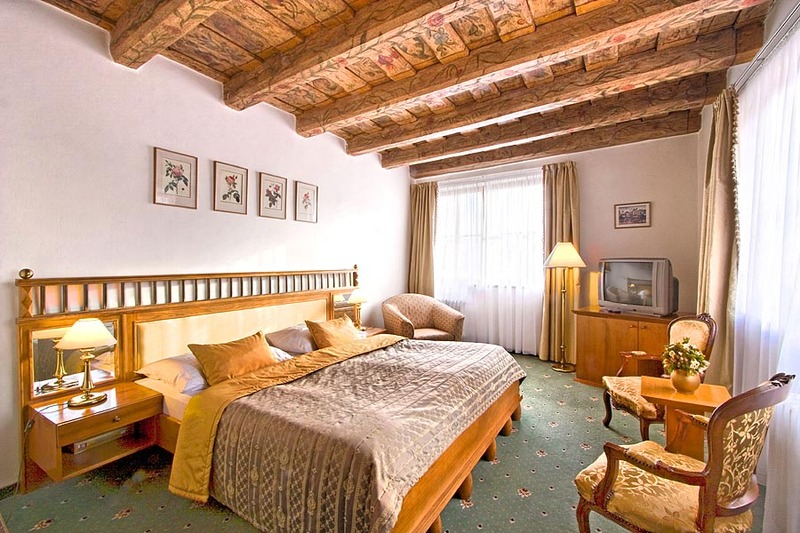 Nine rooms have the original wooden renaissance ceilings. 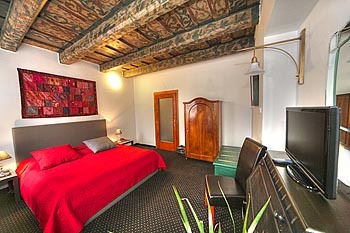 Eleven rooms offer a view of the Charles Bridge. Our capacity is 9 double rooms, 4 suites and 5 single rooms. The rooms with a view offers the view of the Charles Bridge. The room no.14 (Charles IV) is our largest suite and it can accommodate 2-4 persons. 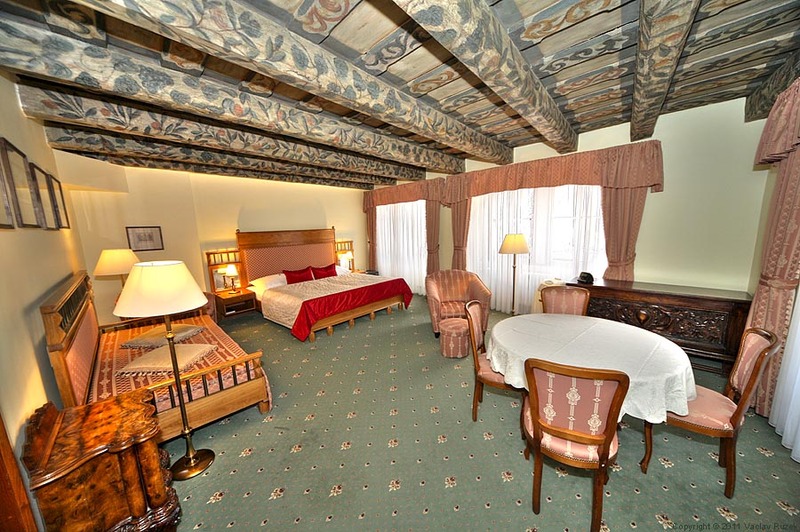 It offers views of the Charles Bridge and the Mostecka tower. The bathroom is equipped with a whirlpool bathtub. 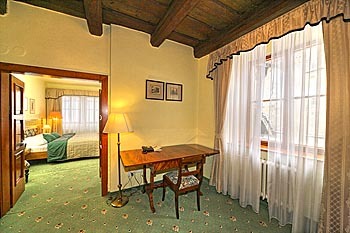 The room no.24 is a double room with a view. It offers view of the Charles Bridge. The bathroom is equipped with shower. The room no.34 is a double room with a view. 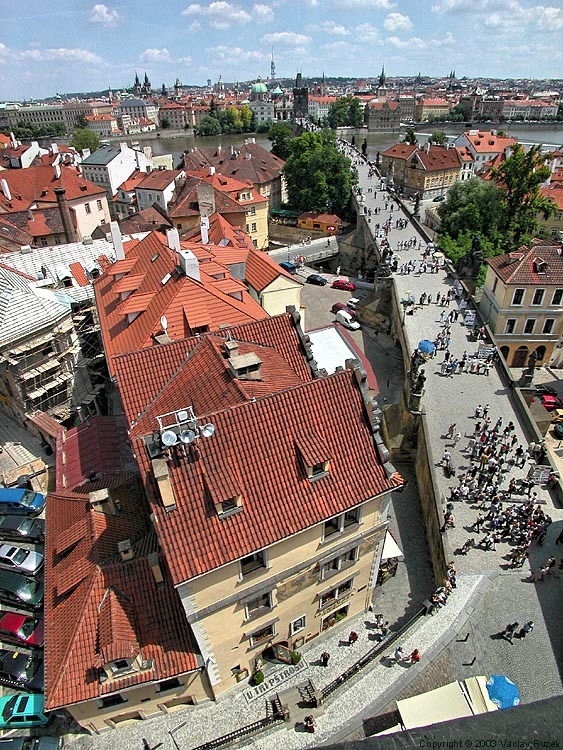 It offers view of the Charles Bridge. 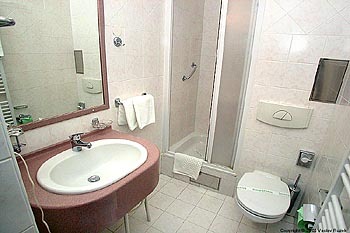 The bathroom is equipped with bathtub. 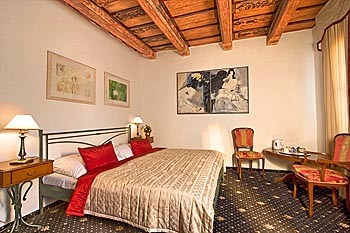 The room no.41 is a double roomwith a view. 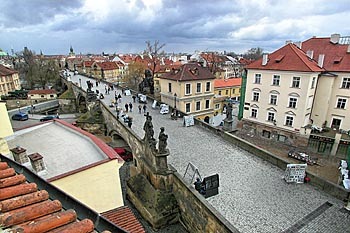 It offers view of the Charles Bridge. 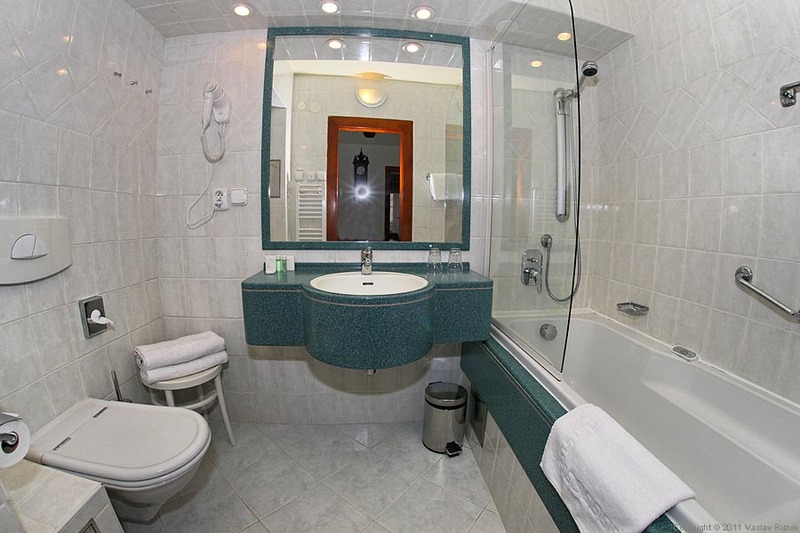 The bathroom is equipped with shower. 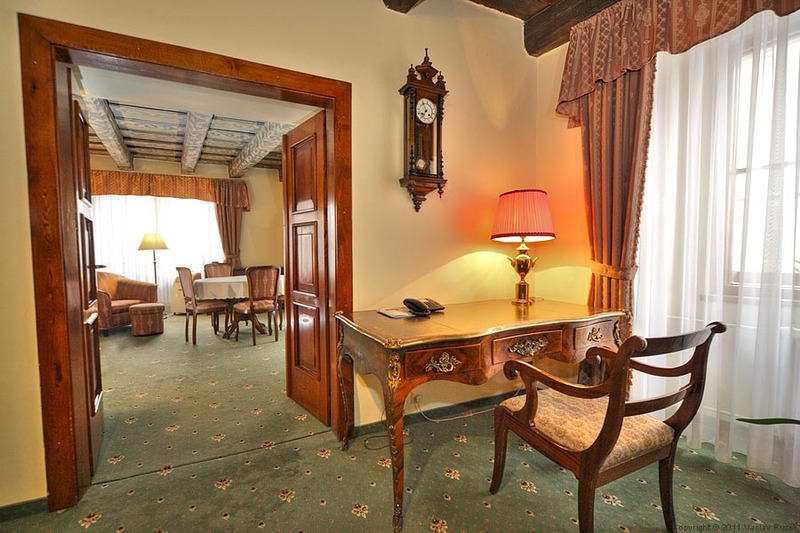 The room no.21 is a suite. 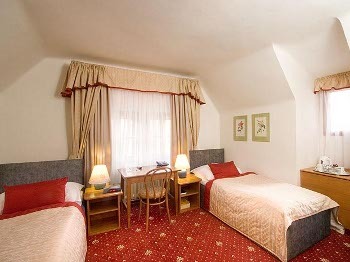 It offers views of the Charles Bridge and the Mostecka tower. 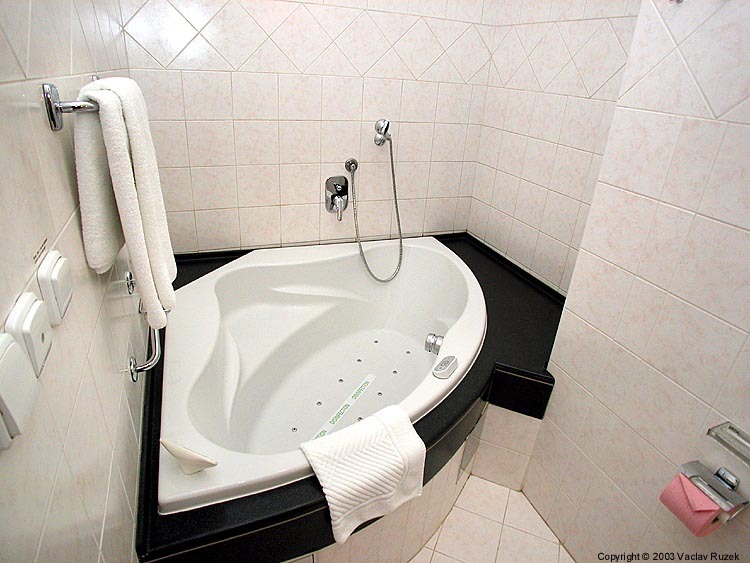 The bathroom is equipped with a whirlpool bathtub. 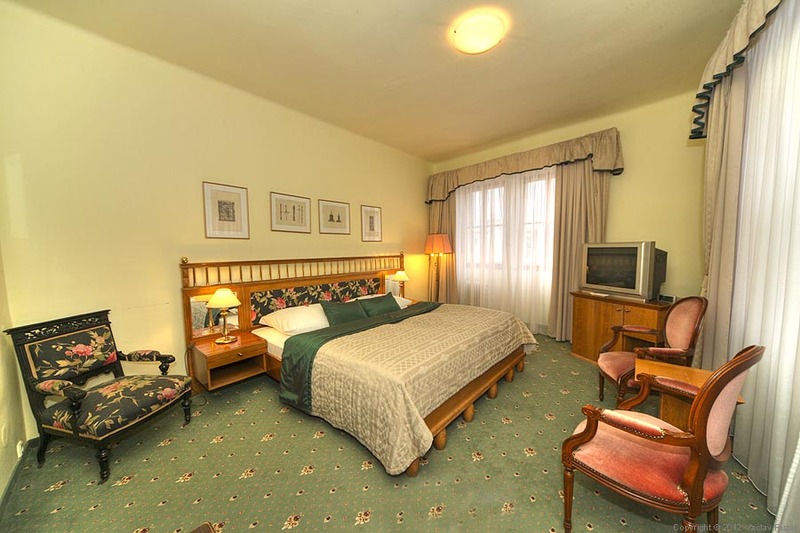 The room no.31 is a suite. It offers views of the Charles Bridge and the Mostecka tower. The bathroom is equipped with a corner whirlpool bathtub. 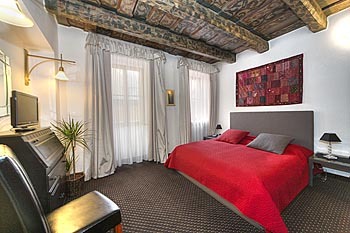 The room no.16 is a standard double room. The bathroom is equipped with shower. 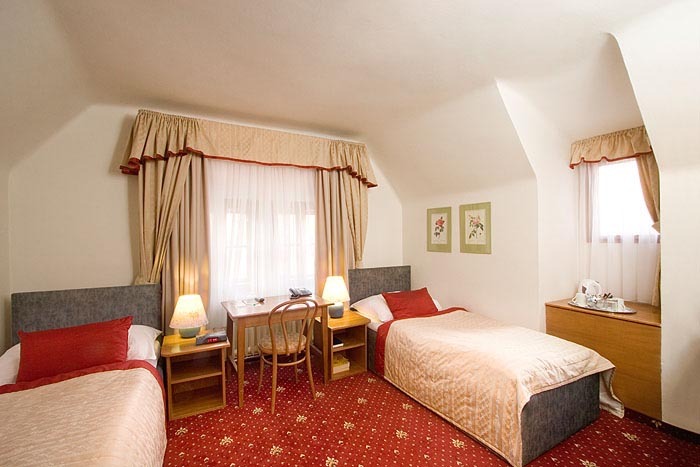 The room no.43 is a standard twin room. It offers view of the Prague Castle. 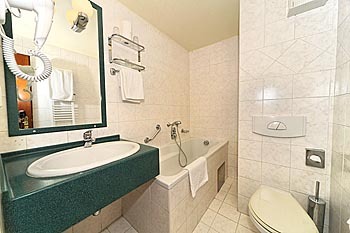 The bathroom is equipped with bathtub. The room no.22 is a standard single room. 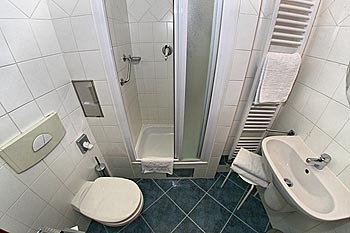 The bathroom is equipped with shower. Hotel restaurant with international cuisine, wide offer of quality wines and friendly staff, is suitable for private or business meetings. 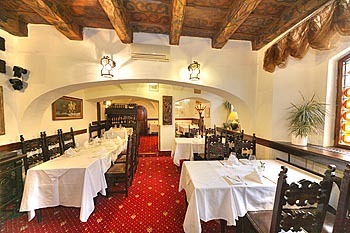 On hot summer days you can enjoy a pleasant meal in the sidewalk restaurant with a capacity for 80 guests. It has wonderful location - between the Charles Bridge and the Bridge's Tower. We also have a car park for the use of our guests. 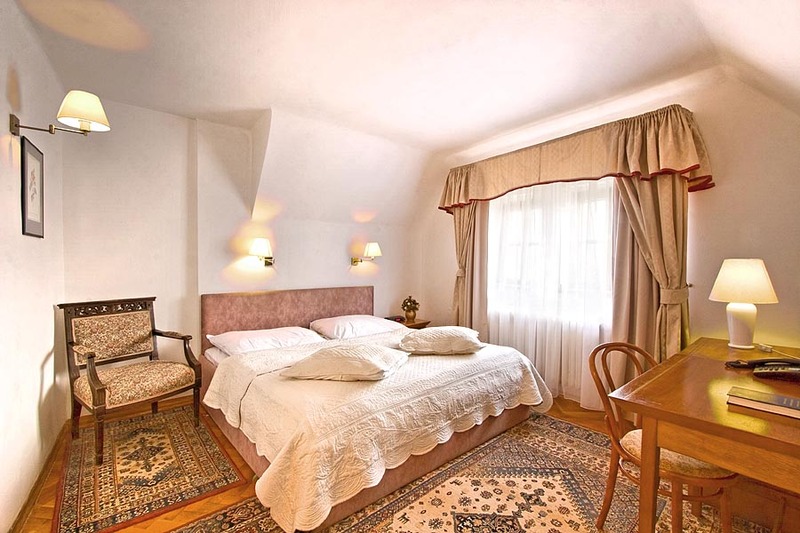 The prices are quoted for 2 persons (except single room), extra bed is available only in Suite and Suite Charles IV. 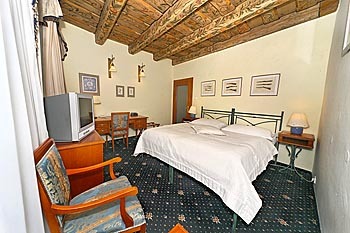 From 4 night stays in high season we offer free transfer.